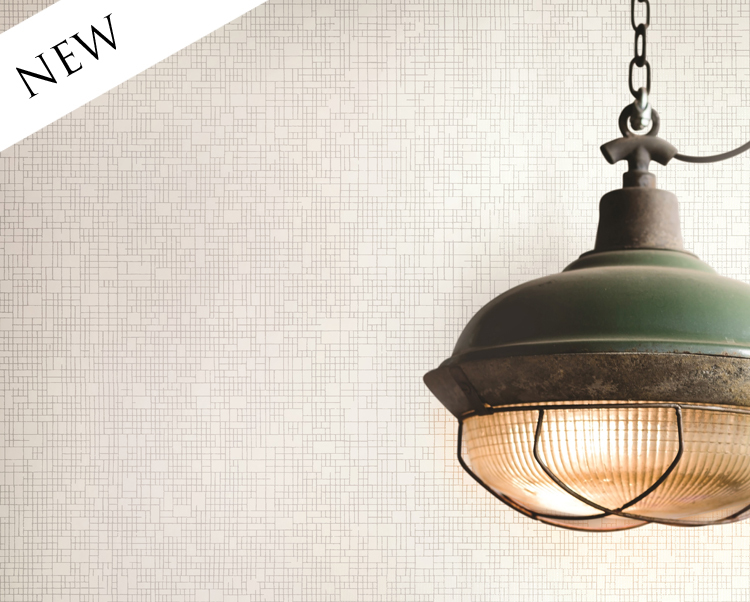 A timeless celebration of the interaction between natural and man-made materials. 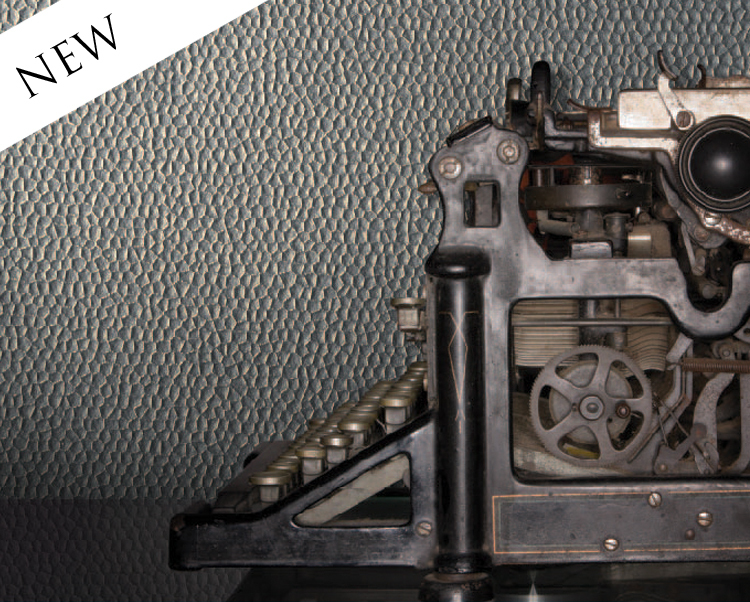 Organic, industrial-based, time-manufactured elements are in focus. 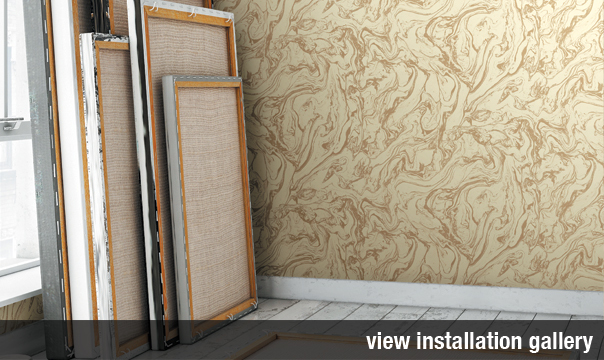 Restoration Elements vinyl wallcovering is a marriage of modern-day manufacturing and repurposed utilitarian, in a collection which is both casual and elegant. Blacksmith features the appearance of hammered metal on a deeply textured small print, whose dry brush effect of raised metallic implies an organic hive. 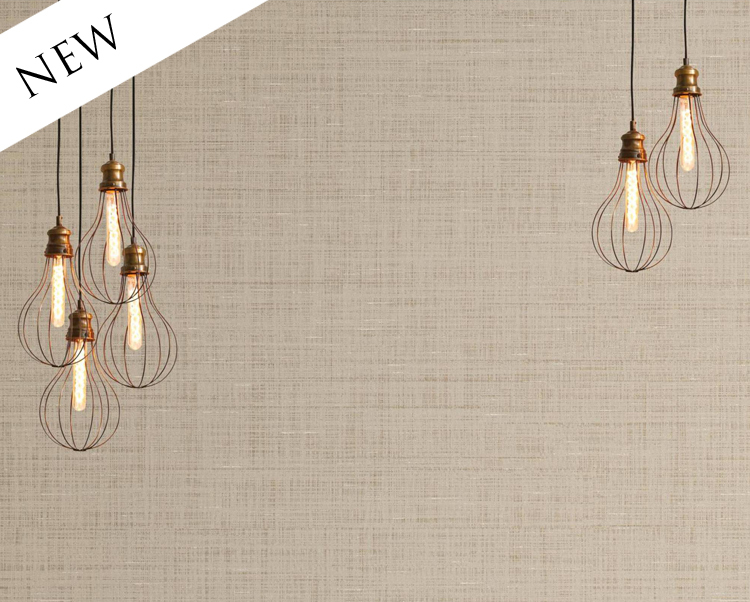 Edison from our Restoration Elements collection features metallic filaments and an industrial mesh screen against a textural diminutive weave, romanced with a geometric hint of shimmer. 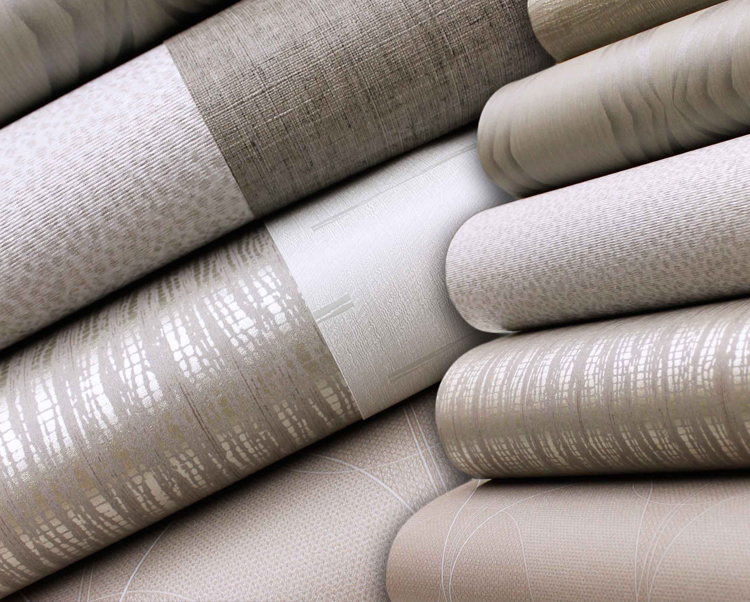 District features geometric stitching upon a simulated silk weave base with a hint of shimmer. 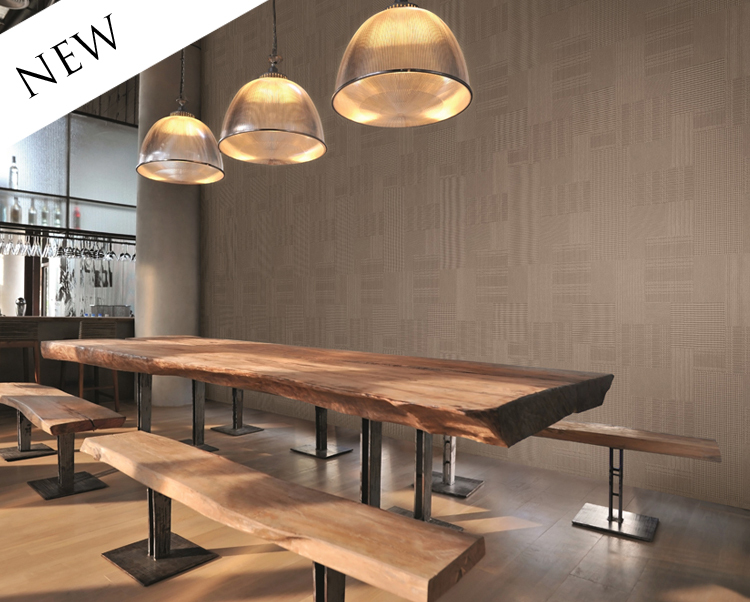 This commercial grade wallcovering is available in five colours in a neutral array. 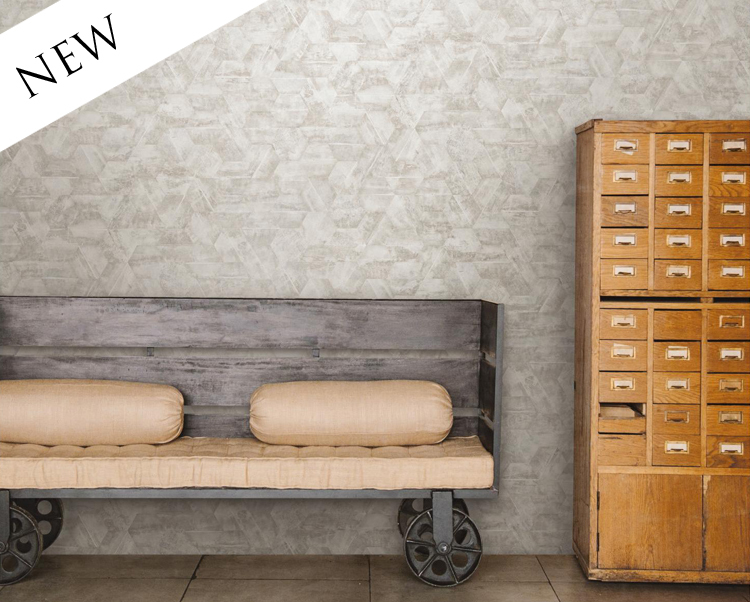 Resembling matte concrete with a subtle woven shimmer, District Silk Wallcovering creates a modern homage to the elegance of silk weave. 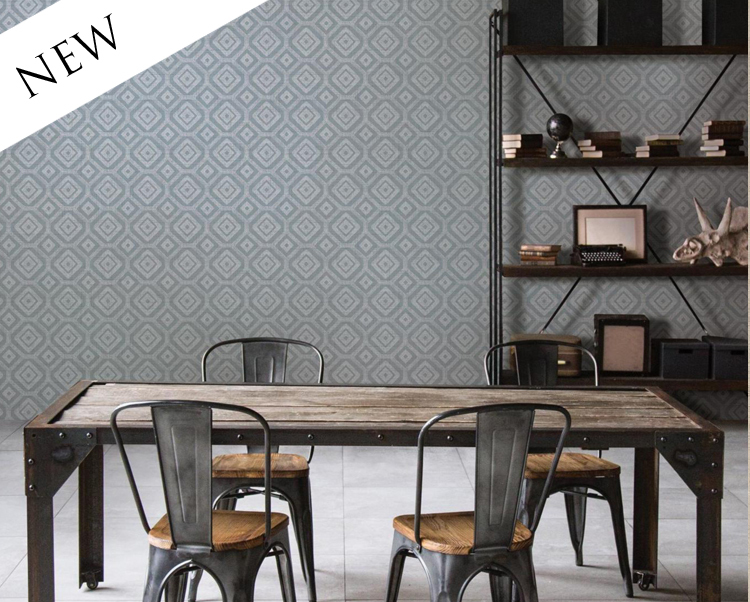 Interchange wallcovering highlights the creative motion of troweled plasterwork encased within a honeycomb geometric, thus adding elegance and stability with the complimenting balance of nature's pleasing aesthetic.